Hard to believe that 2012 is almost over! Happy New Year All-Bring on 2013! This week I am buried in all the pieces for Bonnie Hunter's Mystery. This morning the second to last clue was reveled, and tomorrow brings the big finish. I am liking what is happening so far and love the colors! 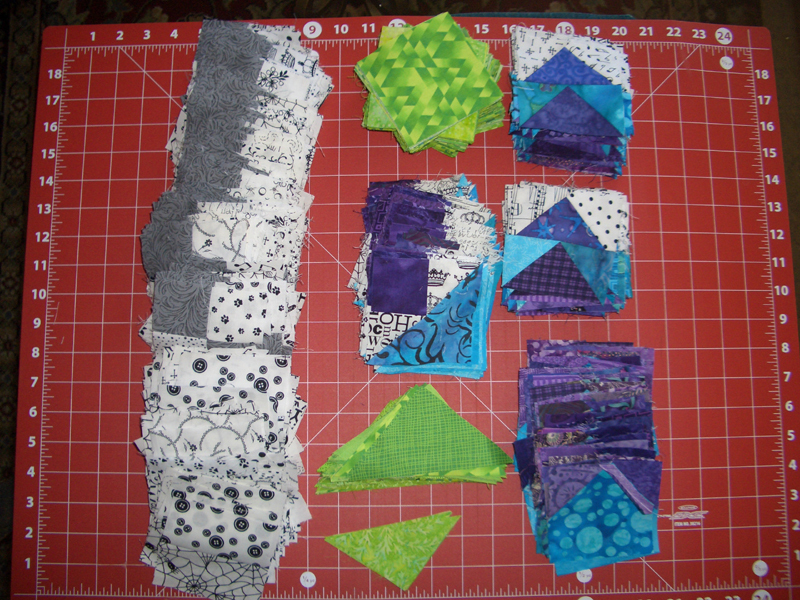 Below are all the pieces waiting to be sewn together. Today some of them will be used in larger triangle units. Looking forward to tomorrow's finish. What are you working on for the New Year? Check out all the other design walls at Patchwork Times.